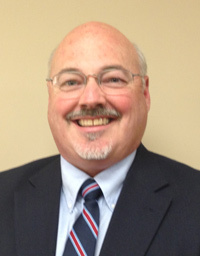 AKRON, OH - Polymer Valley Chemicals announces that Ed Seeley has joined the company as Vice President of Technical Sales. Mike Beck, President & CEO of the Akron, OH based mineral-filler provider, said "We are thrilled to welcome Ed to our team. I have known him for many years and he brings a wealth of experience. We're lucky to have him here at Polymer Valley." In the newly created position, Ed will oversee the company's Akron sales staff and dictate the company's overall sales strategy. "It was tough to leave so many great people at Gold Key/Hexpol, but this is a great opportunity and I am looking forward to the new challenge," said Seeley concerning the move. Prior to accepting the position at Polymer Valley Chemicals, Seeley worked in sales management at the executive level for nearly 14 years at Gold Key/Hexpol. Before that he held various sales and technical positions at Elastochem, J.M. Huber and Firestone Tire. Founded by Beck in 1986, Polymer Valley Chemicals is a leading provider of treated & un-treated mineral fillers, carbon black and custom treating & packaging. Polymer Valley Chemicals maintains corporate offices, sales and warehousing in Akron, Ohio and owns and operates two production & warehousing facilities in Macon, Georgia. Polymer Valley Chemicals, Inc. of Akron, OH, a supplier of custom treated and pre-weighed mineral fillers, announces the addition of new capabilities to de-densify fillers normally provided in a pelletized or a densified physical form. New vibratory screening capabilities have also been added to classify these materials. This changes the form of the filler from a spray dried bead or a densified agglomerate, granule or pellet, to a powder. Precipitated silica and water-washed spray dried kaolin clays are frequently supplied in a densified form. This ability to reduce these fillers to fine powders allows better dispersion in low shear polymers. Polymer Valley offers a variety of mineral fillers including kaolin clays, silica products and carbon black in custom weights, formulations and packaging.